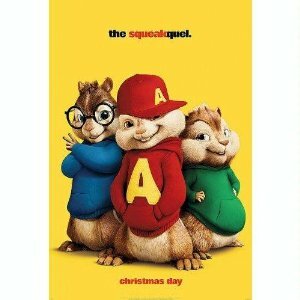 "Alvin and the Chipmunks: The Squeakquel" is available on DVD, Blu-ray and Digital Download NOW!! I definitely encourage parents to check out this family friendly film and add it to their home collection! "AAAAlllllvvvviiiin, Simon and Theodore are back in town, and this time they have some competition. The Chipettes! As the brothers get used to school life and try to get over the betrayal of their former agent, Ian, they discover that Ian is up to his old tricks with the Chipettes. 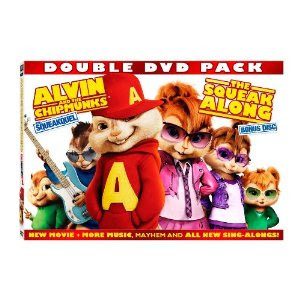 It’s up to Alvin, Simon and Theodore to help the girls. That’s not easy to do when the girls just think they are jealous. It also doesn’t help that the brothers aren’t getting along as well as they usually do. In the end they are reminded that there is nothing as great as true brotherly love." "With catchy tunes and darling animation, the chipmunks will steal your heart and have you singing along as you are reminded about the power of love. This DVD is engaging and entertaining for both adults and children although some viewers might not appreciate the bathroom humor such as the bullies doing swirlies. It exhibits cinematographic and musical excellence." Visit http://www.munkyourself.com/ and 'munk' yourself! Your kids will have a blast with this! I have to admit, I did it....its totally fun!